The average stock in the S&P 1500 (contains large, mid, and small caps) is down 3.35% since the index peaked on March 1st. We broke the S&P 1500 into deciles (10 groups of 150 stocks each) based on stock performance from election day 2016 (11/8/16) through the March 1st equity market peak to see how the biggest post-election winners and losers have been doing during the current pullback. 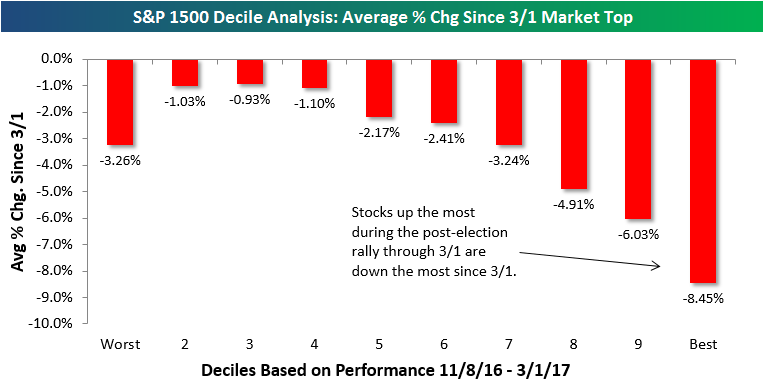 As shown, the decile of stocks that did the best during the post-election rally from 11/8/16 through 3/1/17 are down an average of 8.45%. Clearly investors have been selling the biggest “Trump Trade” winners since the beginning of March. 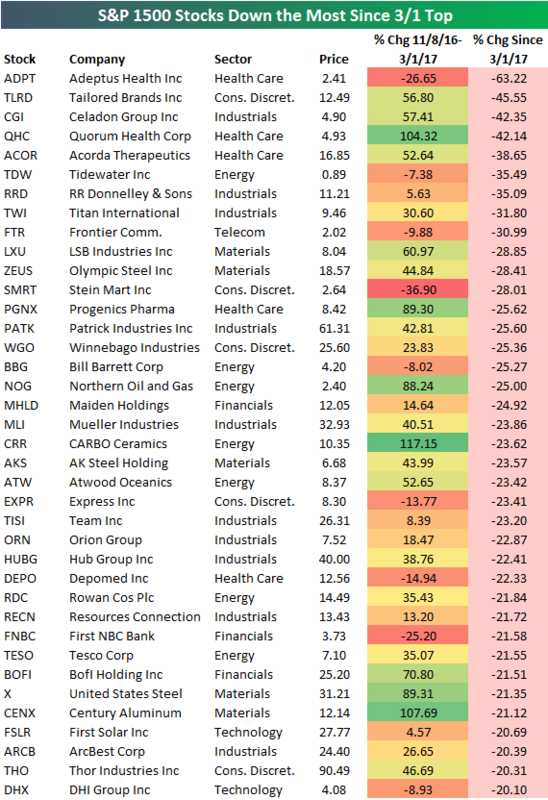 Below is a list of the worst performing stocks in the S&P 1500 since the March 1st equity market peak. All of the names listed are down 20%+. Notables include Frontier Communication (FTR), AK Steel (AKS), Winnebago (WGO), US Steel (X), and First Solar (FSLR). It’s been just a brutal few weeks for these names.